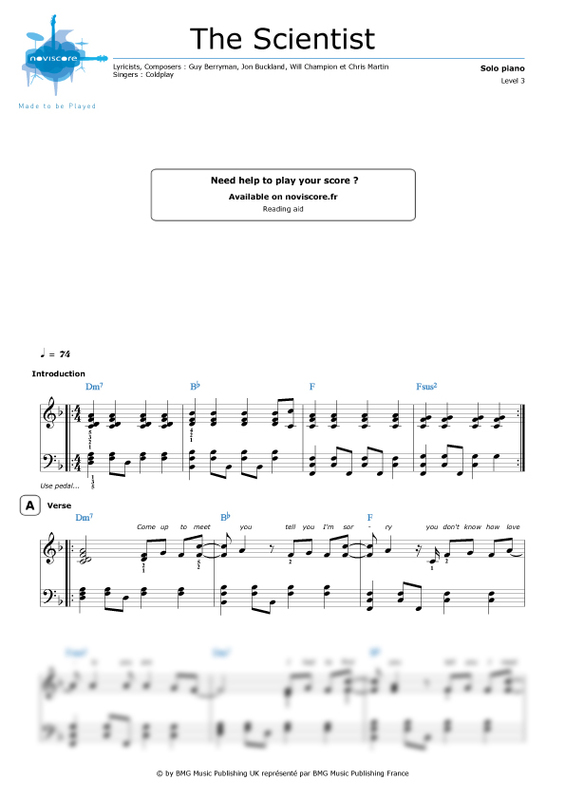 The Scientist is a piano ballad written collaboratively by all the members of the British alternative rock band Coldplay. 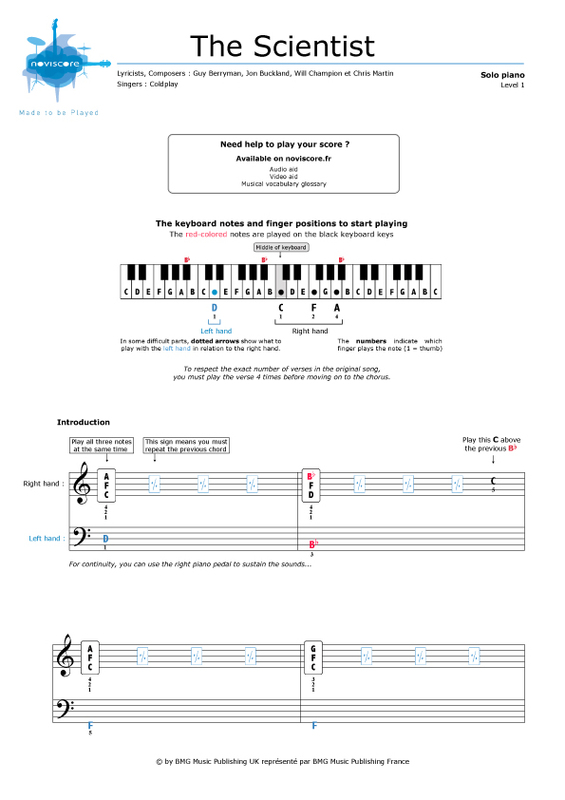 This is a song made for piano players! 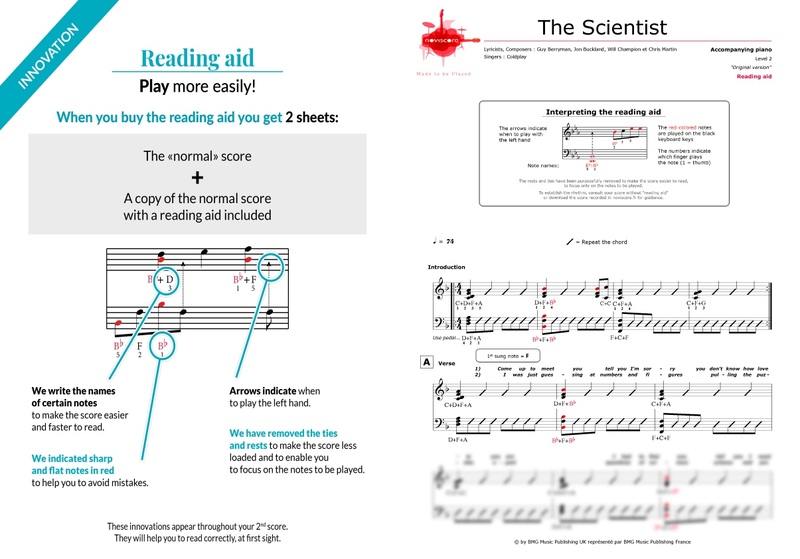 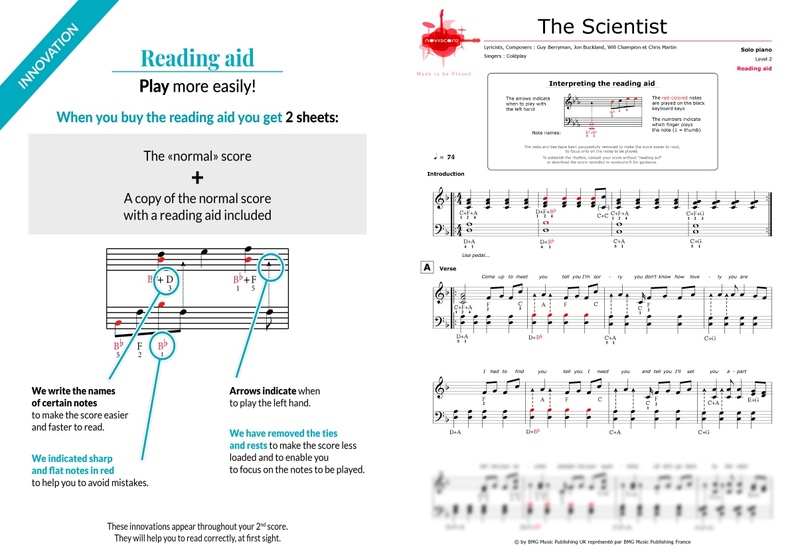 Discover our piano sheet music and choose the level that is best suited to your piano playing ability from our three different adaptations for piano solo. 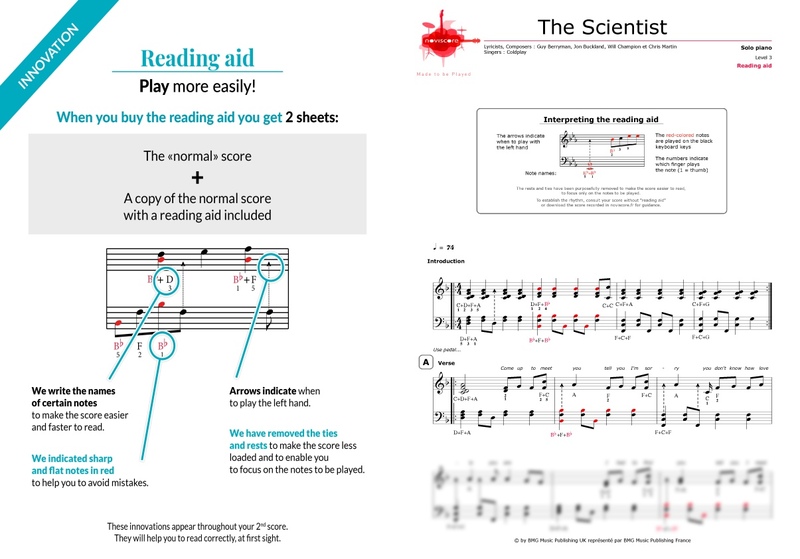 Or if you're a budding Chris Martin and want to sing along, opt for our Level 2 piano accompaniment music sheet version. 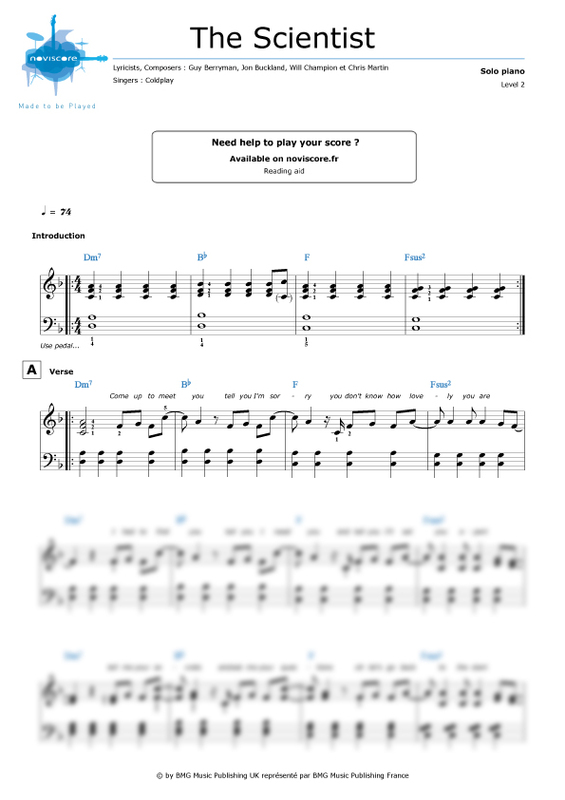 If you want to practise playing in a group, try out our bass/drums backing track to accompany all music sheets except Level 1. 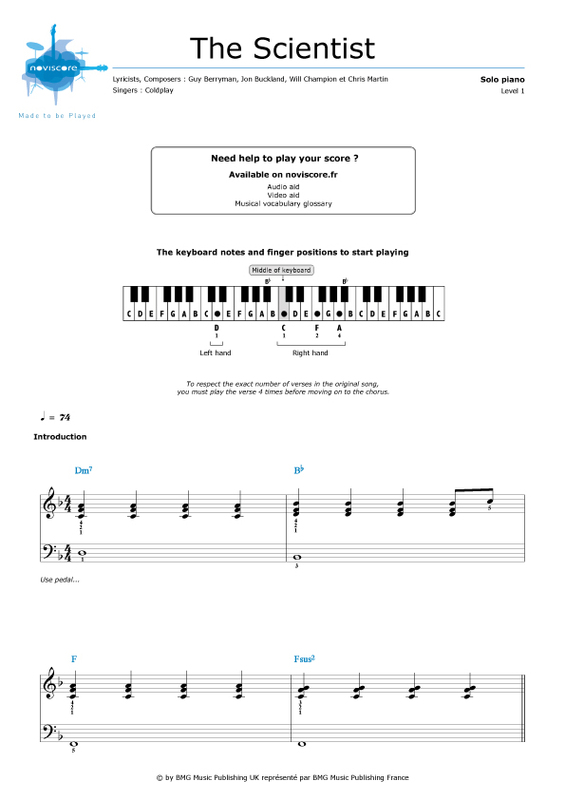 And if you struggle with music theory, try our easy piano music with note names instead of symbols. 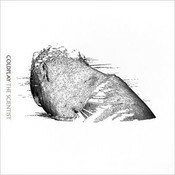 The Scientist features on the second studio album A Rush of Blood to the Head released by Coldplay in 2002. 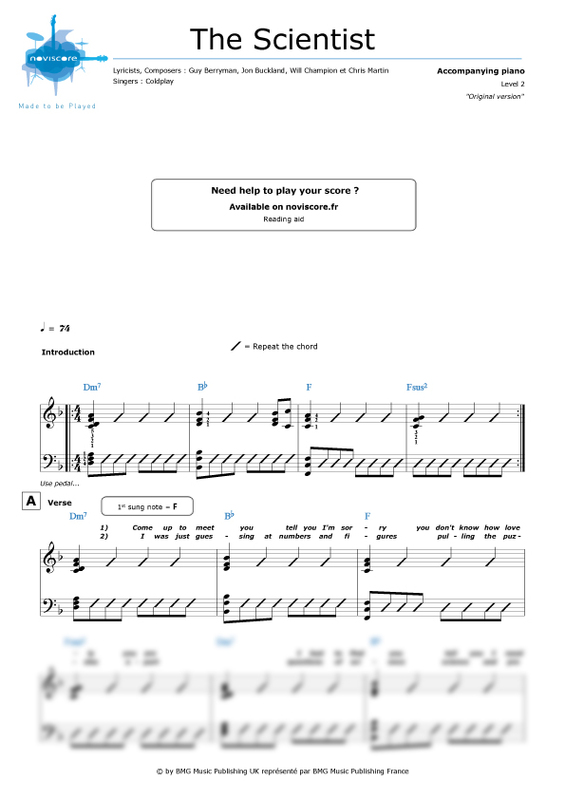 The song won several MTV Video Music Awards in 2003 and now features as a permanent fixture in the band's ive sets.